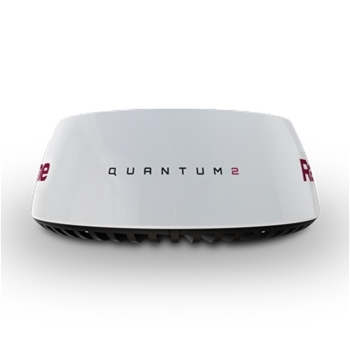 The Quantum 2 Doppler Radar from Raymarine pairs with their extensive line of MFD’s to provide exceptional target and range. With Doppler target processing situational awareness is greatly increased. Moving targets are shown in Red if they are moving towards you Green if moving away. WiFi enabled and 24NM Range. 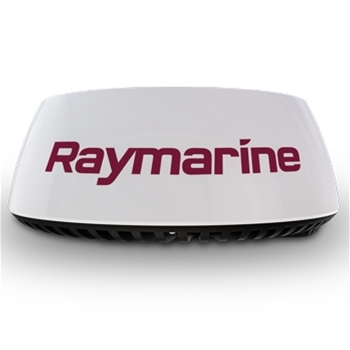 The Raymarine Quantum 2 Q24D Doppler Radar offers a safer navigation experience with a simplified installation weighing in a half the weight of competing radar domes. The Quantum 2’s 24NM range is great to pick up and track those far and close range targets. The low power consumption and superior target separation of close targets make this radar ideal for smaller powerboats and sailboats. The Included 10m data cable is extendable by adding a Raymarine Raynet to Raynet coupler and an additional Raynet to Raynet cable. The Doppler technology that the Quantum 2 Q24D uses is tuned specifically to detect the frequency shift of a radar echo from moving vs stationary targets. The Quantum 2 actually color codes moving targets to determine which objects are moving towards or away from your vessel. You’re even able to setup boundary zones whereas if one of the targets enters those zones you will receive an alarm notifying you. This is a great feature if you’re planning on making overnight trips. The Quantum 2 features Raymarine’s “True Trails” target history display which allows you to see a historical “wake” behind every moving object. This makes it super simple to determine the direct that those targets are traveling which in return allows you to make smart decisions maneuvering your own boat. 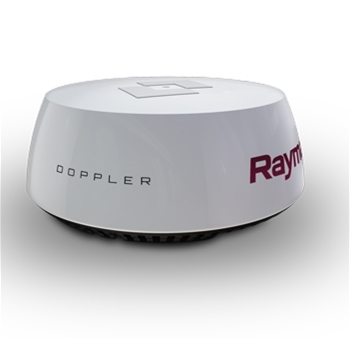 The Raymarine Quantum 2 Q24D Doppler 18” Radar would make a great addition to your compatible Raymarine MFD. Edson Vision Series 6 inch Angled Radar Mount Select Mounting plate below.